I was catching up on some inline reading and discovered this little gem. The article is about a new possible epithet for whites. The term itself has been around for a while, but not in the racial epithet context. 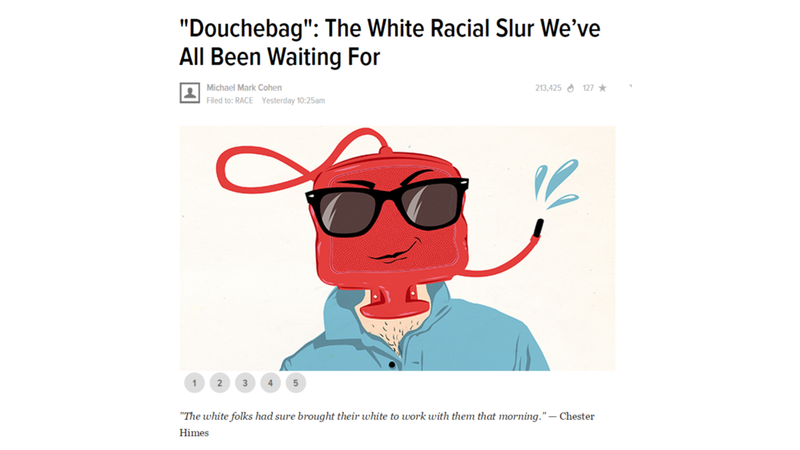 "Douchebag: The White Racial Slur We've All Been Waiting For"
I am not sure if it would be usable for the high school class--many communities would take issue with the language used, but it provides a great deal of context for those at the college level and adults in general. The article examines different terms in history, both for whites and non-whites. It's just a really good overview that makes a case for this term. Great fodder for discussion.